Sales volume and operating profit declined from the same period last year due to production disruption caused by series of labor strikes and weakness in emerging markets. Also, increased marketing efforts for GENESIS brand and R&D investment contributed to the profit decline. Through the first nine months of 2016, Hyundai Motor Company’s global sales totalled 3,477,911 units (Korea: 481,248 / overseas: 2,996,663), down 1.7 percent year-on-year. Hyundai Motor’s sales revenue increased 2.9 percent to KRW 69.11 trillion (auto: KRW 53.28 trillion / finance and others: KRW 15.83 trillion) from a year earlier owing to sales increase of SUVs and GENESIS models. Operating profit fell 13.8 percent to KRW 4.17 trillion and net profit showed a 6.6 percent decrease to KRW 4.65 trillion, for the first nine months. In the third quarter alone, global sales totalled 1,084,674 units while sales revenue posted KRW 22.08 trillion with operating profit of KRW 1.07 trillion. Hyundai Motor forecasts that an unfavorable business environment is likely to continue due to stagnant growth in developed markets and economic recession in emerging markets in the fourth quarter. Nevertheless, Hyundai Motor will continue its effort to focus on strengthening competitiveness and product quality in the global automotive market. 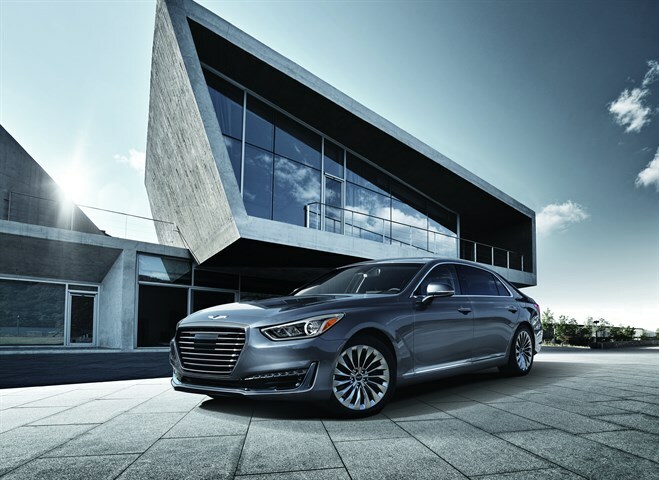 To do so, Hyundai Motor is planning to boost sales of SUVs, GENESIS models and new models such as the All-new Azera, planned to go on sales in the fourth quarter of 2016. Hyundai Motor will continue its cooperation with suppliers and actively carry out more values to customers. Hyundai Motor also strives to build a more shareholder-friendly environment by increasing transparency and shareholder’s value.